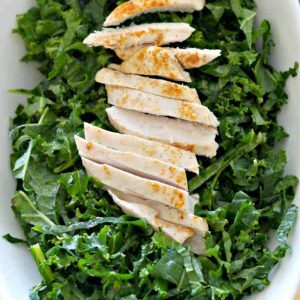 If you are searching for a hearty and healthy salad, you must try this gluten-free Baja chicken kale salad. Are you wondering what does Baja mean? The best way to describe it is Tex-Mex food. In this recipe the chicken is seasoned with chili powder, cumin and garlic then cooked in fresh lime juice, it is so good. For the greens, I used baby kale, avocado, green onions, corn and black beans. Then I finished the salad with the most flavourful light avocado lime dressing which is made without added oil. 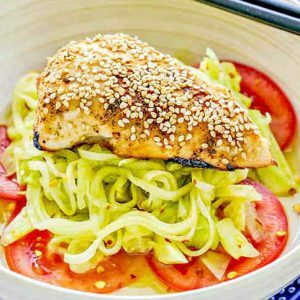 Once you mix the greens with the avocado lime dressing, just add the Baja chicken. 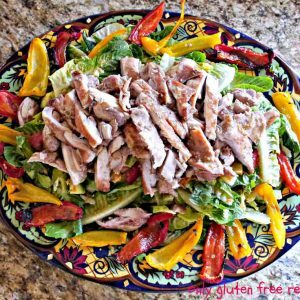 As an added crunch I topped the salad with gluten-free corn chips. The chips are optional, and you can add as many or as little as you like. 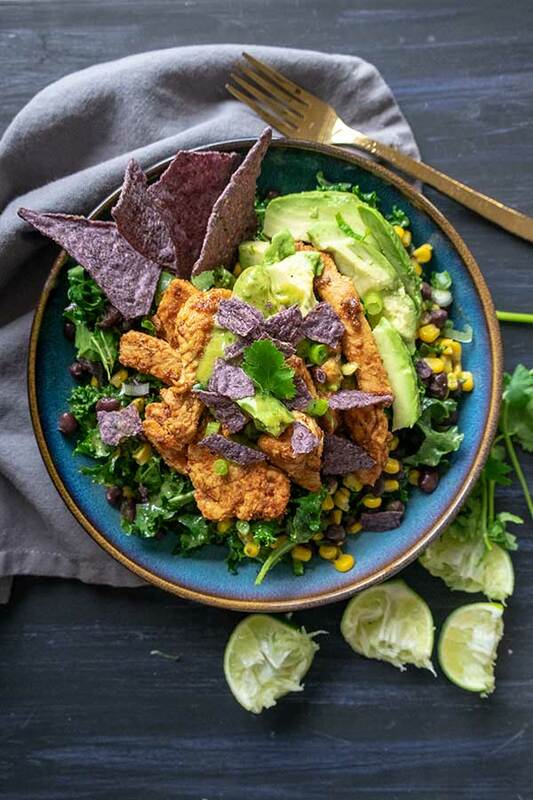 Yes, this salad tastes as good as it sounds 🙂 If you enjoy Mexican food but are trying to keep it on the healthy side, this satisfying salad is a must try recipe. The best part is, you can prep the salad a day in advance. Enjoy!